Kanye West went on an ONE HUNDRED (plus) tweet rant about Drake Thursday night into Friday morning in mid December. Drake never responded publicly, so basically Kanye just had a one-sided conversation for around 12 hours. An unknown number texted Kanye something along the lines of, “Drake sent in a clearance request for ‘Say What’s Real,’ do you want to clear?” I guess Kanye denied and that sparked all this beef. “Say What’s Real” was a song off of Drake’s 2009 mixtape and Drake really wanted Kanye to approve. It started with Kanye tweeting, “Drake called trying to threaten me” at 9:30PM on December 13. Some tweet highlights include: “Drake I’m not going to physically fight you like it’s MTV boxing”, “Never threatened north and saint and Chicago’s daddy bro”, and so many more! The 61st annual Grammys nominations came out in early December. Here’s a breakdown of the most important and interesting nominations. First of all, Cardi B rolled in with FIVE Grammy nominations, but Kendrick Lamar still remains on top with eight and Drake is close behind with seven. Boi-1da and Brandi Carlile were the most nominated women with six nominations, and for those of you who do not know who they are: Boi-1da produced “God’s Plan”, “Be Careful”, “Mob Ties”, etc. (basically, she’s a queen.) Brandi Carlile is an American Folk Rock singer and songwriter who recently released the Grammy Nominated Album “By the Way, I Forgive You”. The 61st Annual Grammy Awards will be airing on Sunday, February 10 at 8:00 EST and I’m hype to watch Ariana Grande win everything ever. Miley Cyrus is BACK BABY! LET’S GO! Liam Hemsworth and Miley Cyrus had known each other for a decade. The two met on the set of the Last Song and Liam proposed in 2012. They broke up and ended the engagement a year later. However as the years flew by, the two rekindled their romance. Their wedding was kept a secret, but they did reveal the pictures later on. They both look stunning and I’m very jealous of their relationship. I knew they were always meant to be together! I am so happy for them and I can’t wait to see their future children. Nick Jonas and Priyanka Chopra got married on December 1st 2018. It all started when Nick had slid into Priyanka’s DMs back in 2016. They first met in person at the Vanity Fair Oscars party in 2017, where Nick Jonas got down on one knee and shouted, “you’re real! Where have you been all my life?!”. Since then their love story has continued. The wedding was held in the Umaid Bhawan Palace in Jodhpur, India. Priyanka looked absolutely beautiful. Her veil was 75 feet long, which should tell you just how absolutely over-the-top and stunning her outfits were! Nick looked equally as handsome (along with the rest of the Jonas Brothers), making them the (my) official power couple of 2018, and possibly the century. This is technically November, but this really lit up in December with the video being released on November 30. Ariana Grande pretty much slayed everything with this song and video and there really isn’t much to be said other than that. The song is an opportunity for Ariana to reflect on her previous relationships and how each of them helped her to grow. If you haven’t already seen the video I highly suggest checking it out as it’s one of the most iconic videos of 2018. Literally… What? Apparently Lindsay Lohan disappeared off to Mykonos and opened up Lohan’s Beach Club. So naturally, she decided to create a reality show surrounding the staff at this beach club, I guess? I was cry-laughing watching the trailer. The show premiered on January 8th, so you can watch for yourself on MTV! Is it good? Let me know what you think! 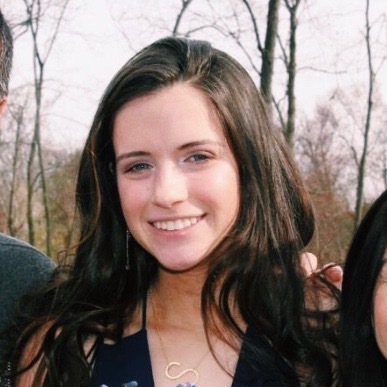 Sarah Gruber is a BBG from Liberty Region and plays squash.